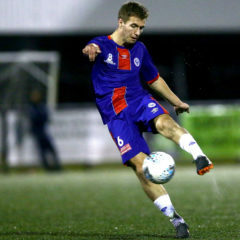 Bonnyrigg White Eagles took all three much needed competition points with a 2-1 victory over Manly United on Saturday night at Bonnyrigg Sports Ground that eased pressure on the club’s current standings. It was a frantic six-minute spell inside the opening 20 minutes that had this match sorted for Brian Brown’s men. 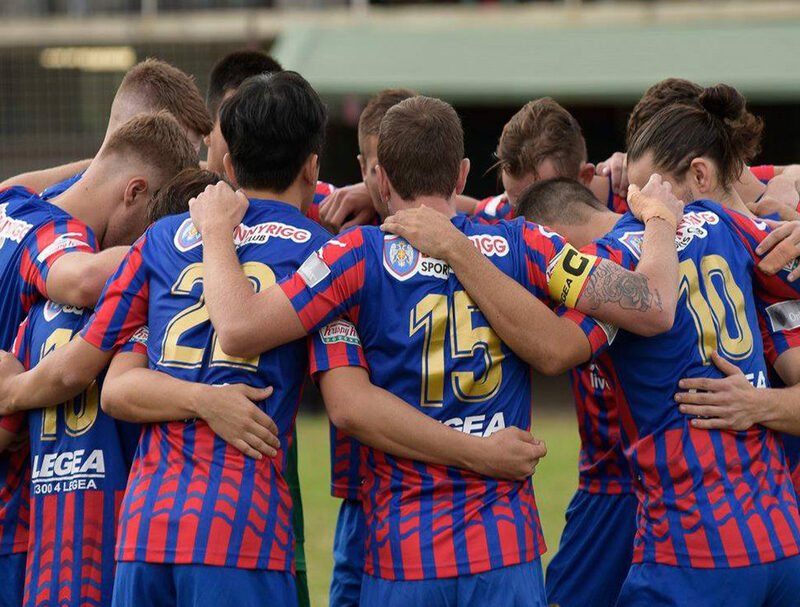 Dean Bereveskos, in only his second start of the NPL NSW Men’s season, got the home side off to a flyer before Shervin Adeli doubled the White Eagles’ lead with yet another special goal. Ben Tosi then found his own net to get Manly United straight back into the game but that was all the away side could do as they saw three points slip. Both sides were ravaged by injuries but it was the Northern Beaches outfit who found it tougher to cope without the influential Sasa Macura in midfield. The home side had the first chance, Korean import Mun So Gil going close shooting just wide off the post after a poor clearance from a corner. Fourteen minutes in and Bonnyrigg hit the front. Some fine build up play saw Adeli lob a ball over the Manly defence for Bereveskos as the winger calmly chipped the on-rushing Shaun Catlin. It was his first competition goal in Bonnyrigg White Eagle colours much to his delight after hitting the back of the net. Three minutes later and the White Eagles made it two. Bereveskos turned provider as Adeli received the ball with his back to the goal, turned his defender before curling his effort into the top corner. The goals continued to rain in as the away side halved the deficit only two minutes later. Dom Ferguson got a fortunate bounce down the left by-line before crossing into the area with the unfortunate Tosi volleying in beyond James Chronopolous who got the nod ahead of David Bradasevic. Macallister should’ve equalised on 23 minutes for Manly after being found on his own at the back post. He seemed to have surprised himself with the amount of time he had as Chronopolous picked up the loose ball. Adeli and Bereveskos were in the mood with the striker getting on to the winger’s cross to head just passed the top corner. Tosi almost made up for his earlier error but Catlin somehow parried a bobbling ball with no White Eagles player there for the rebound in the twenty-seventh minute. 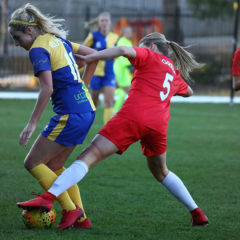 Bonnyrigg started the second half on the front foot and six minutes after the break, club captain Ray Miller showed his marvellous skill, dribbling in from the left, beating defender after defender before shooting wide of the goal. Miller tucked in Sam Gallaway in the 72nd minute as the left back blasted a ball toward the far post, smacking it against the post before Manly cleared for a corner. Coach Brian Brown was a relieved man at the full time whistle with his side’s much needed victory. The first Bonnyrigg goal saw some great combination and the White Eagles coach says he wants more of the same. “We’ve been looking for that all season and we need to keep this belief throughout the season. Paul Dee was disappointed not to come away with something from the match. “Both squads were depleted with injury and optimistic with the players that can return.